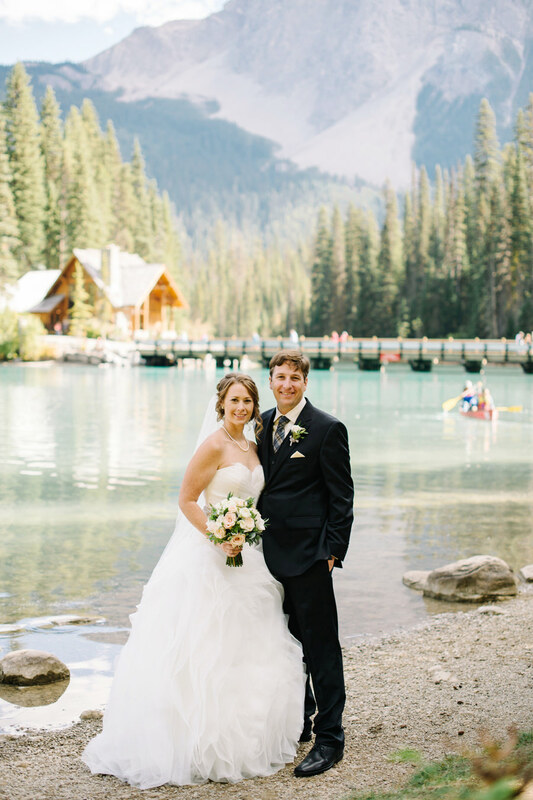 So lucky that the Canadian Rockies are in my backyard, I shoot 80% of my weddings here and I get to meet lovely couples from all over the world. From a meadow to a castle ballroom, there is not one location or venue that disappoints. 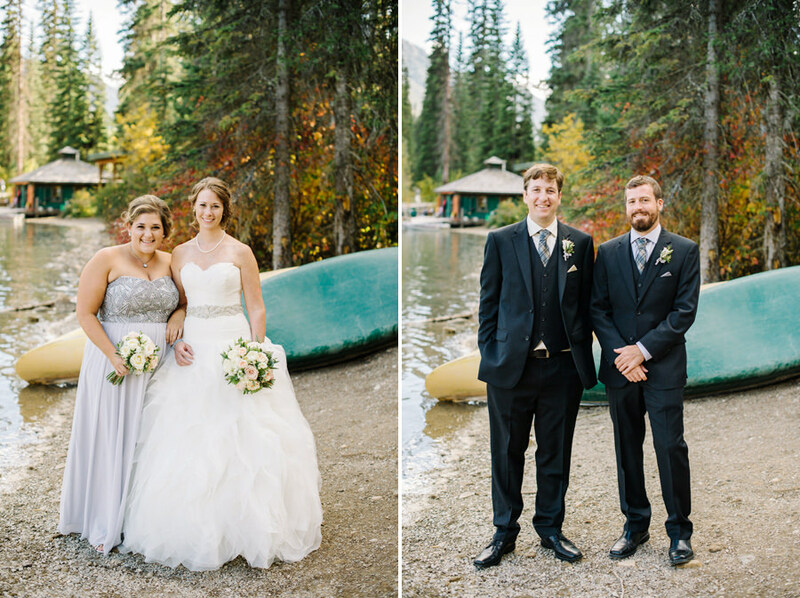 Here are my top 3 favourite wedding venues in Canmore, Banff and Lake Louse. Located in the same area as the Grande Rockies Resort, the Silvertip is also a great option for Calgary residents. The property, which is perched on the side of the Bow Valley, boasts 600 sunny acres of grasslands, waters, mountain peaks and valleys. If you’d rather say your “i dos” indoors, there’s a banquet room with a capacity of 250 guests available. The Cascade Ballroom: Located at the north end of the castle, the Cascade Ballroom offers a stunning panoramic view of the Bow Valley from the adjacent conservatory. Eight breathtaking chandeliers, hardwood floors, and decorations of blue, burgundy, and gold make this ballroom perfect for a wedding celebration. The Alhambra Ballroom: Your guests will be awestruck as they step through the custom cast bronze door and into the Spanish Renaissance-styled Alhambra Ballroom. It boasts large windows, high ceilings, and the four chandeliers that cast the perfect radiance as your guests dance the night away. It is perfect for ceremonies and receptions and can accommodate up to 220 guests. Ivor Petrak Room: This intimate space is perfect for hosting beautiful ceremonies and receptions with up to 60 guests. Dance the night away under the central chandelier, and experience the charming view of the sweeping Bow Valley. 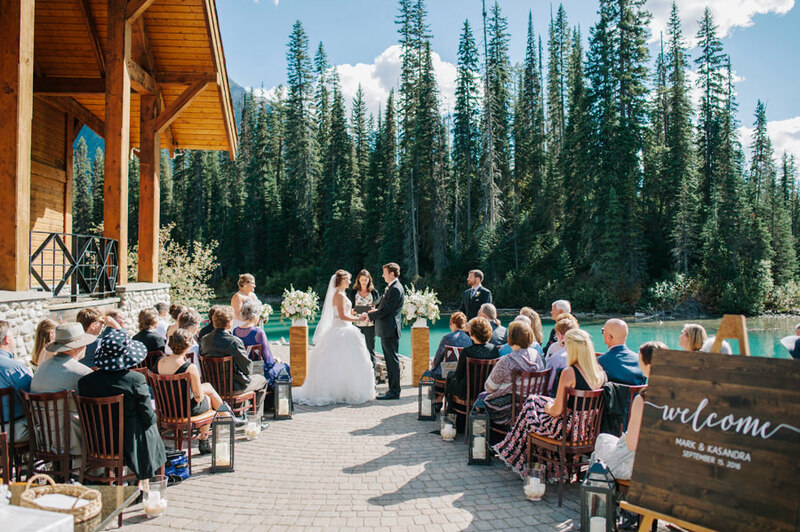 The Outdoor Terrace: The Outdoor Terrace is an amazing ceremony venue with extensive views of the Bow Valley enclosed by mountains. It has the capacity for 180 guests. Along with its natural beauty and charm, it is close to the wedding reception spaces and hotel amenities. Additionally, there are the Angus & Strathcona Rooms and Mount Stephen Hall that are available for use. Lakeview Terrace: An outdoor space with views of the Victoria Glacier. It has a capacity for up to 300 guests. Victoria Terrace: Another outdoor space overlooking Lake Louise with a capacity for 150 guests. Victoria Ballroom: A European-style ballroom with stone fireplaces and a capacity for up to 350 guests. Mount Temple Ballroom: An indoor space that can include a raised head table and wooden dance floor.